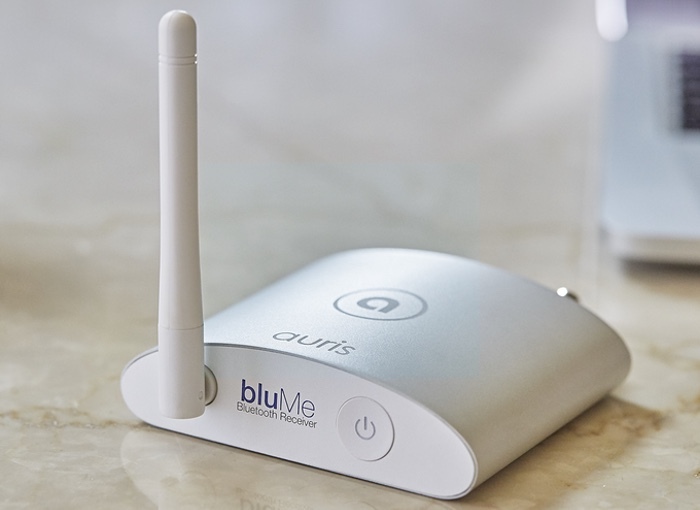 A new Bluetooth music receiver has been created by auris called the bluMe that allows you to use your older music’s systems and connect them to your latest smartphone or mobile device with ease. The auris bluMe is a true high fidelity Bluetooth music receiver that is capable of streaming high quality audio, wirelessly direct from any Bluetooth device. Watch the video below to learn more about the bluMe from its creators and how you could benefit from using those older high quality speakers once more. bluMe is more than a Bluetooth music receiver; it’s also a Digital to Analog Converter (DAC). Digital tracks are simple sequences of code. To turn this code into a signal that speakers can recognize, you need digital-to-analogue converters (DACs for short). Poor quality DACs can lose detail in the conversion process. We tested countless DACs over many months and in the end decided to work with the world-renowned ‘Miracle DAC’ AK4396 by AKM, a top of the line high fidelity DAC usually found only in top shelf audiophile home audio and home theater systems. It’s a true 192kHz 24-bit upsampling DAC sporting a high SNR of 120dB and is well regarded for its impressive low noise and low distortion characteristics. in short, this means that the sound you hear is crystal clear, rich and retains a wonderfully full dynamic range. For more information on the new auris bluMe Bluetooth music receiver and to make a pledge from $99 jump over to the Kickstarter website for details via the link below.